STATE of Origin is back, in a whole new way. 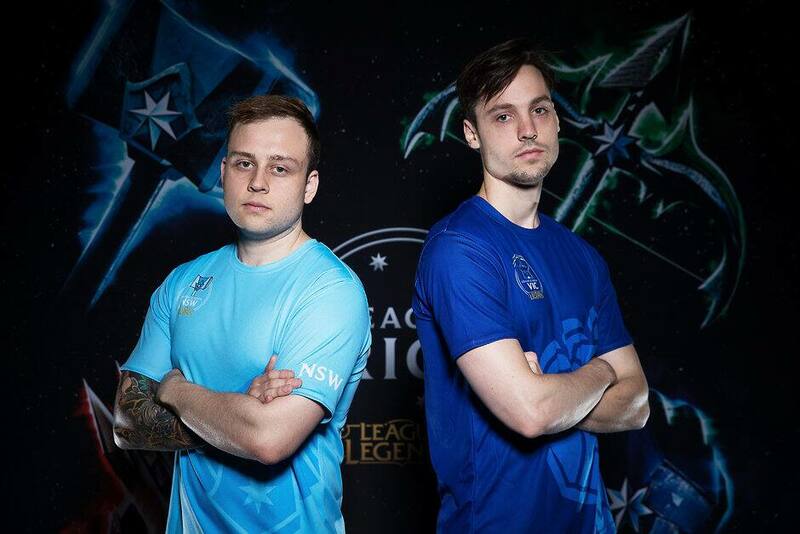 Victoria and New South Wales will clash in the League of Legends: League of Origin final on Saturday from 5.30pm AEDT at Margaret Court Arena, in an event put on in a partnership between the AFL and esports giant Riot Games. League of Legends is the biggest PC game in the world, with 1 million Australian players per month. The AFL wants to take advantage of the mass appeal esports has, particularly among millennials. Exposure brings more fans, sponsors, and ultimately, money. Two AFL clubs already have teams in the Oceanic Pro League – Adelaide owns Legacy while Essendon runs Bombers. They will compete before the final, with each side to have a representative from its pro team, while high school students who have won a competition have been awarded the right to fill out the remaining eight spots. For those new to League of Legends, it's based in a jungle. Both teams have a side, and the aim is to conquer the opponent's section of land and take out its base. It's a five-on-five contest, with the winner determined in a best-of-five series. Victoria's line-up consists of Pabu, Spookz, Swiffer, K1ng and Jayke, while representing New South Wales will be Swip3rR, Only, Triple, FBI and Destiny. "It's just a great spectacle. This is something we've come up with on the back of State of Origin, which we know has been popular through football in the past," AFL head of customer experience Danielle Bleazby said. The atmosphere is often electric at esports events, with audiences getting right into the contest. That's not the only attraction though. "I think why you would want to come on Saturday is all about seeing the best players in the country playing off against each other, but also to be there as part of the League of Legends community," Bleazby said. "There's a lot of players around the world that don't necessarily get to meet up with fellow players. This is an opportunity for them to actually get together." Then there's the fan experience itself. "You'll see a really great production, so the staging and the screens, and everything that comes with that, is going to be top class, and probably the best you've seen from an esports event in Australia," Bleazby said. The decider will also be streamed on Twitch, YouTube and Red Bull's Facebook page. It's only early days for the AFL's venture into esports. "There's still tickets available. Get down there and just experience it, because it's a great live atmosphere," Bleazby said. "Keep an eye out on the AFL and what we do in this space, because we're partnering with Riot long-term and hoping to make an impact and bring some new things to the sport."